Back in 2006, Joe Sengeredo's Shooting Stars once faced Dynamos in the first game of the season. Almost the entire Shooting Stars team had a former Dynamos player who had played for the Glamour Boys only a few months before. Even the goalkeeper, Mathew Wurayai, belonged to Dynamos the previous season. The fans came in their multitudes and they knew all the Shooting Stars players. In contrast, they recognised only Desmond Maringwa from their own team. The rest were strangers. Amongst these strangers was a perculiar name that had been touted as belonging to a good striker. Fans that had watched Dynamos friendly matches prior to the opening match and they said "Gwekwerere" will be the new star at Dynamos. The name was catchy enough but many attended that first match to find out how the team will fare and whether this (Evans) Gwekwerere was anything matching the hype. To compress a long story, Gwekwerere scored the only goal of that grudge match to turn into an instant hero. Two games and three goals later, the young player was the talk of town. Even his teeth – or lack thereof – were topical. Alick Macheso's song, Tererai's lyrics were remixed to "Gwekwerere tamba bhora" and that song was an anthem at Dynamos matches. 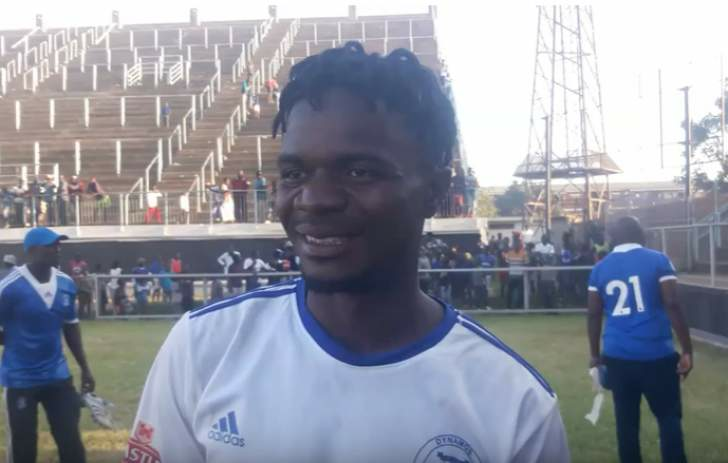 In seven games, Gwekwerere had scored seven goals and that was enough to attract interest from South African premiership and change the young man's life. Fastforward to 2019 and you find a Dynamos side equally unrecognisable. Coach Lloyd Chigowe discarded almost the entire Dynamos team from last season and fielded only two on-field players from that side in his season's opener against Mushowani Stars – Godfrey Mukambi and Jimmy Tigere. Again fans came after hearing rumours of a new forward with a unique name, Ngandu Mangala, and again the player justified the rumours with two stunning thunderbolts with either foot. A similar story unfolded a few years ago when one Christian Ntouba Epoupa graced the Harare Giants. He was a shining light and – like Gwekwerere – left too soon. Having played only that one league game on Saturday, Dynamos new signee Mangala's name is the new talk of the streets. Some say he is the man to look out for at DeMbare and some have already said he will be Lloyd Chigowe's lethal weapon for this season. Is he the new Gwekwerere or Epoupa. Is he capable? The football fraternity is already asking questions about the Congolese star. The question of whether he will be DeMbare's king remains a mystery since it's too soon to tell, but he already has a nick name ‘Moto Moto' and there may be a new Vietnam sing in his name soon.